Memoirs Coming from Questlove, Jesse Jackson Jr.
Two big names in the world of pop culture and news are set to publish books. According to The Huffington Post, Questlove, the drummer and producer of hip hop group The Roots, is set to publish a memoir this summer. Due out on June 18, Questlove’s book will include tales of his brushes with celebrities and other artists, like Jay-Z, Stevie Wonder, and KISS. Grand Central Publishing is publishing the memoir. But he’s not the only big name coming out with a memoir. According to The Huffington Post, the Reverend’s son Jesse Jackson Jr. will also publish a memoir. The ex-Congressman recently made headlines when he pleaded guilty to planning to spend $750,000 in campaign funds on personal items. Sources say he’s planning to use this book as an opportunity to clear his name. The book is still in the early stages and isn’t even being shopped around yet. But there’s a good chance someone would pick it up. 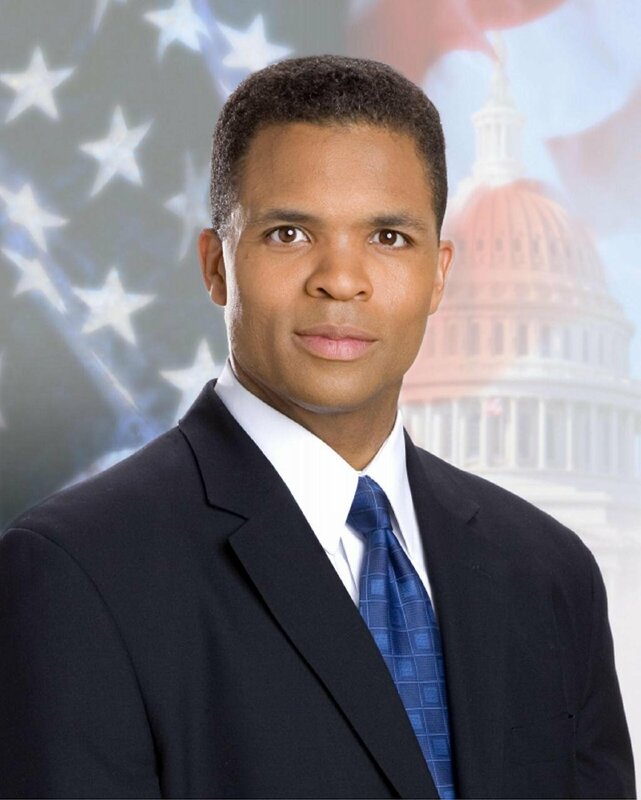 After all, Jesse Jackson Jr. has written several books already, and he’s got quite the story to tell. Recap: When four girls have been best friends since before they were born — after all, their mothers met in a prenatal exercise class — they assume they’ll be friends forever. But with their 30th birthdays looming, Lena, Bridget, Tibby, and Carmen (from the Sisterhood of the Traveling Pants series) find themselves drifting apart. Lena lives in Rhode Island, where she paints, teaches art classes, and continues to pine for her Greek ex-boyfriend Kostos. Bridget has moved in with her successful longtime boyfriend, Eric, across the country in San Francisco. Carmen is now an actress in New York City, dating another man in the business who treats her poorly. And then there’s Tibby, who’s moved to Australia with her longtime boyfriend Brian, and hasn’t seen the girls in two years. So when the three stateside girlfriends receive plane tickets from Tibby to meet once again in their magical place, Greece, they’re more than excited to reconnect. But as soon as they arrive, everything changes. Suddenly, there are only three girls left in the sisterhood. As much as they thought they’d always be together, they soon realize that when one girl leaves, the rest of the group falls apart. Each girl is now left to deal with a devastating tragedy. They reflect on the past to figure out how to move forward. But with the one missing piece, none of it seems to make sense. Analysis: If you start reading this book thinking it’s going to be like the first four Sisterhood of the Traveling Pants books, you’re wrong. The fifth and final book in the popular YA series takes place 10 years after the first one. The girls are grown up, and the problems are a lot bigger. And without a doubt, much darker. The tragedy that happens early on sets the tone for the rest of the novel, and that tone is one of loss, in every sense of the word — losing a friend, losing yourself, losing your way. As the book flips back and forth between characters, some sections move faster than others. I cared less for Carmen’s subplot than any of the others. Her character in particular seemed the most changed from the original books. Lena, Bridget, and Tibby all had storylines that moved, with secrets revealed and new characters to introduce. What likely kept me reading the most was my attachment to the characters from having read the earlier books. (That’s not to say you won’t understand the book if you haven’t read the rest of the series; there’s plenty of history that’s explained.) Reading this was like attending a high school reunion with only the people you actually cared about. It’s fun to see where the characters end up — whether it’s in a good place or bad. Sure, the end was a bit cheesey — okay, it was really cheesey — but author Ann Brashares’ storytelling grew as her characters did, and there’s a lot in this book about what friendship and life really means. MVP: Tibby. There’s really no single protagonist in the series. It’s split pretty evenly across. But Tibby is clearly the clue in Sisterhood Everlasting. She may have fallen out of touch the most with the others, but despite the tragedy, she still manages to bring them all back together. Get Sisterhood Everlasting in paperback for $9.60. Would you be more inclined to go to your local library if it offered pole dancing classes? Well, apparently people in Scotland are! According to The Huffington Post, one local library is offering the class on “Love Your Library Day” and are calling it “pole fitness.” Why? Well, the library officials hope it will attract more customers. That’s one way of doing it! But it does seem to be part of a trend of libraries offering very un-library-like things just to get people to walk through the doors. Some have opened bookstores within the libraries. Others are offering bookless libraries. In other words, they’re more like media centers that act as supplements to libraries. I understand that libraries need to keep up with the times and continue to serve the people, especially if they want to keep receiving funding from the government. But on some level, I’ve got to wonder — can’t we just let libraries be libraries? What do you guys think? Would YOU sign up for a pole dancing class at your local library? Recap: When young associate lawyer Lina Sparrow is assigned to a massive class-action case involving slavery, she at first, has no idea where to begin. The client her firm is representing is seeking reparations for the descendants of American slaves — an historic case that, if won, would bring in millions for hundreds, if not thousands of slave descendants. It’s a tough case, but Lina is determined to win, and so begins the research. She must find the perfect lead witness, a slave descendant with a rich backstory that will tug at the jury’s heartstrings. That’s when she decides to find a living descendant of Josephine Bell, a Civil War era slave from Lynnhurst, VA. Josephine’s owner, Luanna Bell, was an amazing artist, but according to legend, Josephine was the one secretly finishing Missus Bell’s paintings and sketches. A slave with an amazing talent, who never received recognition would make Josephine Bell’s descendants perfect for Lina’s case. As readers, we delve into the stories of both extraordinary women, both on a mission — one, for the biggest success of her career, the other, for a chance at freedom. As their stories unfold, we learn more about their individual backstories and how their families have affected who they’ve become. Analysis: Historical fiction mixed with modern-day storytelling, The House Girl switches back and forth between Josephine chapters set in Virginia in the 1850’s and Lina chapters set in New York City in 2004. Chapters devoted to only one person allows the reader to get a deeper reading of each woman. We learn about Lina’s mother who was killed when she was only four years old, and the broken, but still somewhat close relationship she has with her artist father, Oscar. We’re also given insight into the mentoring relationship Josephine was lucky enough to have with Missus Luanne Bell. Not to mention, understanding of her desire to escape slavery in the North. The House Girl tells a truly beautiful story of two completely unrelated characters from different worlds and different time periods connecting in an unexpected way. 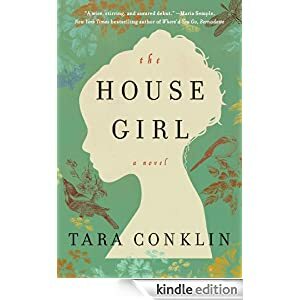 The way author Tara Conklin is able to balance between fiction and historical fiction is impressive and keeps the book moving, as the reader desperately wants to learn how these two women end up. At times, there are so many subplots, some seem to get lost in the shuffle. Not to mention, the ending feels a bit rushed and maybe even anticlimactic. But maybe that’s the point. Maybe the point isn’t to get the ending we’re expecting, but o understand that when Josephine gets her happy ending in a not-so-happy way, Lina realizes the happy ending we want for her, isn’t really the one she wants. MVP: Lina. An incredibly focused, driven woman, she’s the only who seeks out Josephine and works to bridge their worlds together. Although it’s not appreciated, she does it, and finds her own happiness along the way. The House Girl officially goes on sale today. Get it now for $16.97. Or get it on your Kindle for $12. 74. If it turns out that lies were hidden behind many of Lance Armstrong’s successes, does that mean the nonfiction books published about him now become re-classified as fiction? No, not according to one library in Sydney, Australia or the National Library, for that matter. Photos of the note quickly went viral, and librarians at Manly insist the note is just a prank. Apparently, no one can re-classify a book’s genre without changing the ISBN number issued by the National Library. Alas, Lance Armstrong’s book will remain in the nonfiction section. But will it always? And how much does it really mean when readers know the book consists of untruths? Either way, it’s a pretty hilarious prank if you ask me. Thoughts?